UFC Fight Night 74 fighter weigh-ins took place today at the SaskTel Centre in Saskatoon, Saskatchewan, Canada. The same venue hosts Sunday’s card. The first fighter hit the scale at 6 p.m. ET (3 p.m. PT). 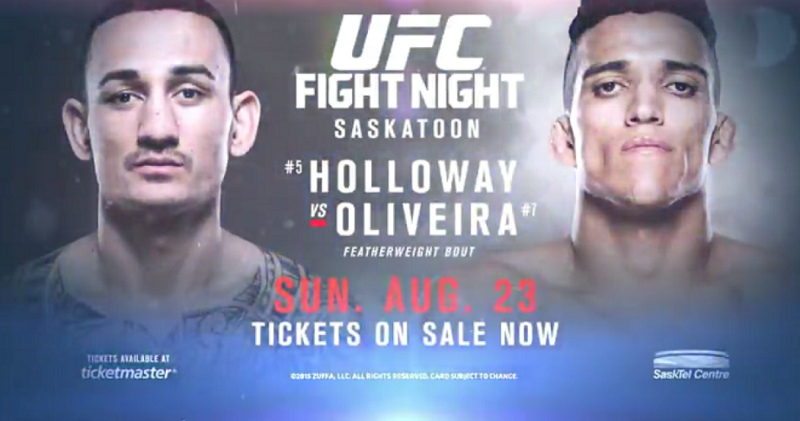 In the main event Max Holloway looks to continue his win streak as he meets Charles Oliveira at featherweight.